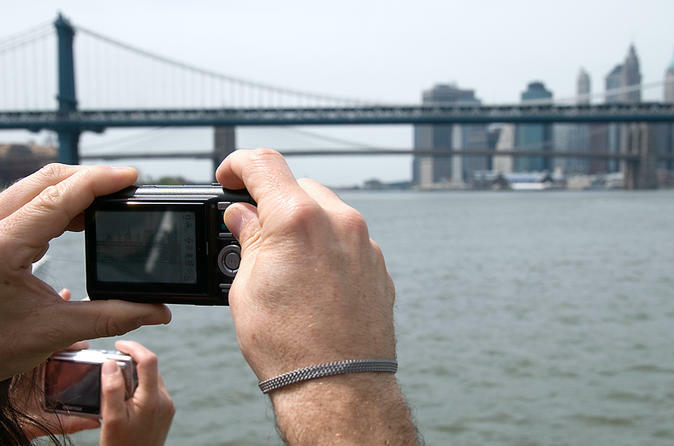 Relax with a private guided sightseeing tour of New York City. Custom itineraries are created and personalized for each guest. Options include iconic sights of the city, along with off-the-beaten path places that make New York such a special place. Transportation is provided in the comfort of a roomy late model Toyota Sienna mini-van, with the capacity to accommodate up to 6 guests. The driver-guide is a licensed professional. Take the anxiety out of touring New York City and take this private driver guided tour! Your driver-guide will meet you at the New York City location of your choice. Together, you will create an itinerary at the beginning of the tour. The itinerary will include a stop for lunch (not taken from your tour time and the cost of lunch is not included in the price of the tour). The choice of sights on the tour is always up to you, as well as the length of time you spend at each sight. With some sights, guests are happy to just drive by, at other sights, they want to "hop out." The typical tour includes Central Park and a drive down Fifth Avenue with all of the important sights pointed out (Tiffany's, Trump Tower, etc). Hop out at both St. Patrick's Cathedral and Rockefeller Center. Take a drive through Times Square and take in all of the lights and sounds of this famous landmark. The old historic buildings such as Grand Central Station, the Public Library, Empire State and Flat Iron Buildings are included on most itineraries by guests, as are such neighborhoods as Greenwich Village, SoHo, Chinatown and Little Italy. In the Financial District, select from sights such as St. Paul's Chapel, Trinity Church, Wall Street, "The Bull," One World Trade Center and the 9/11 Memorial. And of course there are the water sights like Statue of Liberty, Ellis Island, Brooklyn Bridge and others on most peoples "must see" list. All of the above can be seen on this tour, depending on the time spent at each location. At the end of the tour, you will be returned to the New York City location of your choice. If you are being picked-up or dropped-off at one of the airports, you should allow for commute time between the airport and Manhattan and should select the 8-hour driver guided tour option.